ALBANY, NY – Unable to decide whether he wanted to start his meal with soup or salad, local bisexual Franky Wade finally settled on ordering both. “Oh, I just don’t know,” said the wavering Mr. Wade to an impatient waitress at the Weber Grill Steak Restaurant. “I mean, I guess I’m kind of in the mood for the house salad because I really like lettuce and cherry tomatoes,” explained Franky as he recalled that he used to typically choose salad at restaurants but has since explored the soup option out of curiosity. “But that cream of chicken soup sounds really delicious. 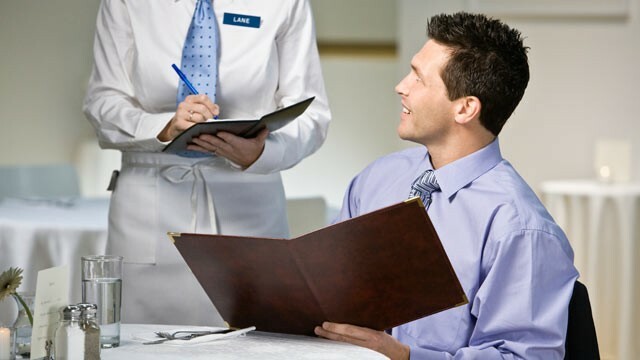 Do I have to choose?” The waitress conferred with her manager who reiterated the restaurant’s open order policy when it comes to personal preference. “Oh goody, I’ll just have both then.” At press time, Mr. Wade’s transsexual friend had to ask the waitress to come back so she could change her order.